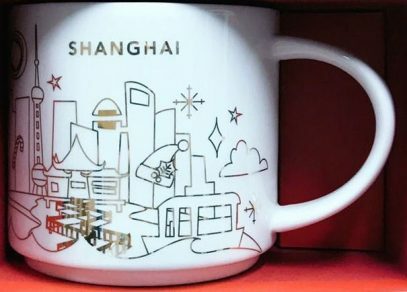 With You Are Here Christmas – Shanghai I am finalizing the set of Chinese holiday mugs. As it was expected there are five it total, more than from any other country. If I was someone who decided to buy all Christmas YAHs this year, I would have a separate cabinet just for those. Just imagine them all together!